When you have won over $10 million playing poker, both online and live, then you could be forgiven for taking your foot off the gas and relaxing. But earning $10 million in poker doesn't fill up that trophy cabinet. You know the one we are talking about; the cabinet that contains the dust-covered football trophy that you won when you were just 10 years of age. Some people just want the money, whilst others want to win. Chris Moorman falls into the category of the latter, but fans on betfairpoker.com will tell you that he has seemingly lost his touch. After cementing his place as one of the worlds top online poker players, people started to question Moorman's ability to transfer his skills into the live game. Then, after three fairly barren years between 2008-2010, Moorman exploded to life with a $2.3 million year in 2011. But, despite that groundbreaking haul, he didn't win one tournament. Each and every time it mattered, Moorman fell just short of that final hurdle. Just a few short weeks ago, Moorman was presented with another chance to win a major poker title, after he made the final table of the United Kingdom & Ireland Poker Tour (UKIPT) online leg. The news, featured on the Betfair Omaha poker page, was even better for Moorman, as the final table was going to be played live at UKIPT Bristol. From a media perspective, his name was already engraved on the trophy. But it was to become another case of what if? 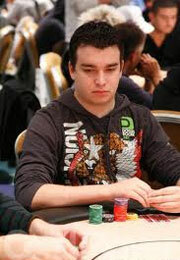 after Moorman lost a four-hour heads-up marathon to the 24-year old student from Kaiserslautern: Wojtek Barzantny. It is another bitter pill for Moorman to swallow, particularly after he was ahead when all the chips went into the middle [Ac] [3h] v [Qh] [Jd], but a jack on fourth-street leaving that dusty lining in the trophy cabinet of Moorman.